We are not recommending Gmail anymore, for all the reasons listed below and more! Try a professional sending provider instead. In June of 2016, Gmail will change its DMARC policy from p="none" to p="reject." This means any message sent using gmail.com in the FROM address, will have to originate from Gmail's infrastructure. 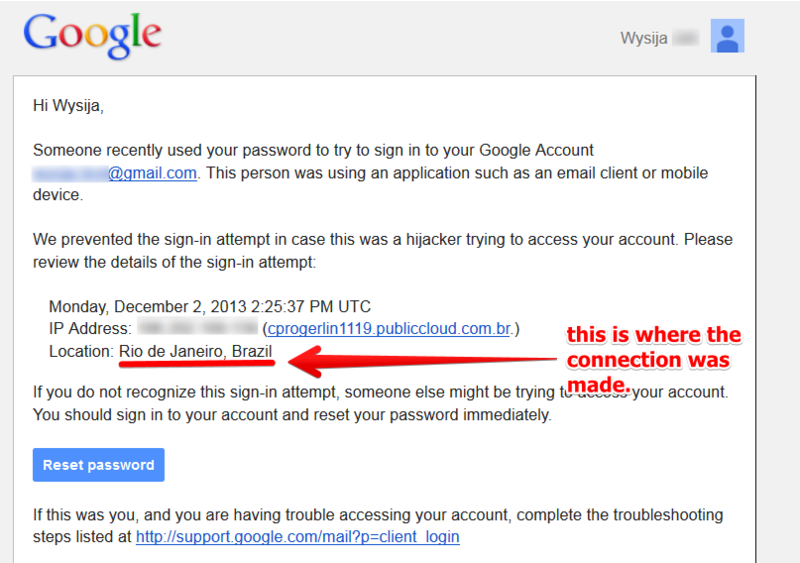 Therefore, if you are not sending with Gmail, you can't use a Gmail address in a FROM header in your newsletters. Learn more. There are two main reasons why sending with Gmail will not work. Google security system is actually pretty cool, if somebody gets his hands on your Gmail's password, well he won't be able to do much, unless he is using your IP address. Why? Because when Google spots an unusual IP address trying to connect to your account it will deny it access and will send you an email and eventually a text message on your mobile phone. In your case when you setup your site to send with your Gmail account, you want to allow a new IP to use your Gmail's credentials. In order to allow a new unrecognized app simply go to https://security.google.com/settings/security/activity, find the line that concerns you and allow access. If you're trying to send from Gmail and it doesn't work, rest assured your problem is common. Especially if you're hosted on a shared server (hosting plans which cost a few bucks a month). This means your host is definitely blocking the port needed to connect to Gmail's SMTP service. If the port is blocked, what can I do? You'll need to switch sending method. 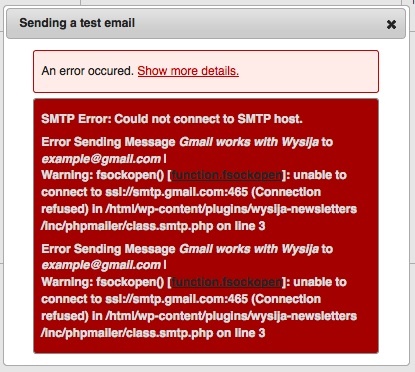 Try sending a test mail with the sending method " Your own website". The limit of emails you can send from a shared hosting plan varies. See our list of limits. Alternatively, we recommend getting a professional sending provider. They are cheap for small senders, require a bit of a setup, but offer the best deliverability. Read more on SMTP providers.